CONNECT Latvia is a non-profit membership association with the objective to help create and develop new and innovative companies in Latvia. The founders of Connect Latvia include Riga Technical University, University of Latvia, Stockholm School of Economics in Riga, Connect Sweden, IVA Sweden and Riga City Council. In this interview, entrepreneurs and Connect ambassadors Alexander Efremov and Madara Mara Irbe talks about the motivation behind the organisation and the importance of nurturing young entrepreneurs. CONNECT Latvia appears to be a hybrid organization – part membership association and part incubator and training provider. Could you explain exactly what you are and how you operate? Yes, CONNECT Latvia is a truly hybrid organisation, as is innovation itself. CONNECT’s mission is to stimulate new entrepreneurial ventures in our region. Even though entrepreneurship is usually associated with starting up a company, it’s meaning is much broader. It could be a social venture or pursuing someone’s dreams in research. The first, original CONNECT network was established in San Diego, USA back in 1985, where it is still operating and has reached a broad community by providing technology entrepreneurship development. Core to CONNECT’s growth and development is a culture of collaboration, fostered by San Diego CONNECT’s first director, Bill Otterson. Alan Barrell and I both meet with young entrepreneurs and inventors to discuss their business or invention ideas, trying to develop the essence of entrepreneurship and make young innovators ready for real life and for successful business life. What were your objectives when you set up the Riga-Cambridge Venture Camp and what do you hope to achieve from it in terms of sustainable development in the SME sector? 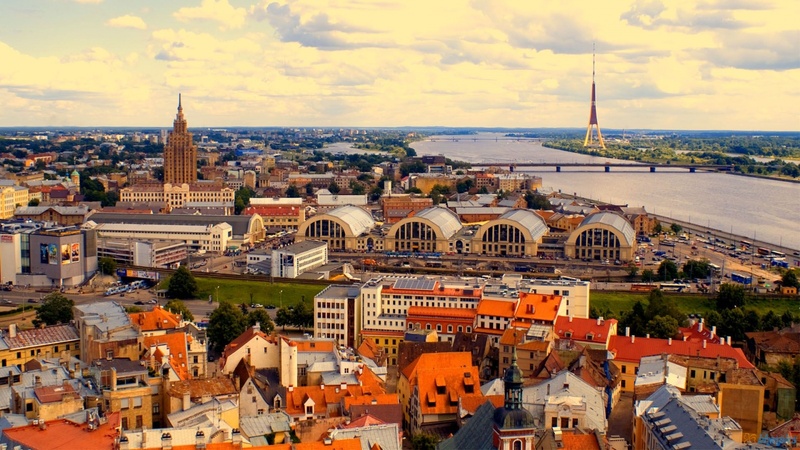 The Riga-Cambridge Venture Camp is a new project undertaken by CONNECT Latvia. It is an informal education programme, which takes place in leading universities, business incubators and innovation centres in Riga, Latvia and Cambridge, UK. The Venture Camp is an opportunity for cross-disciplinary students to gain practical insights into the local and global business world from experienced entrepreneurs/lecturers in Riga and Cambridge. It’s also an opportunity for lecturers to foster their methodology and expand their knowledge in their area of expertise, which they can, in turn, implement into their daily lecturing activities. We’ve come to realise that cross-disciplinary students have little or no knowledge about doing business or of commercialising their ideas and inventions. The usual scenario is either thinking that an idea is unreal and, therefore, no effort is put into actually testing that hypothesis, or the other storyline is often by investing time and money into a solution that nobody needs. What we want to refine here is the attitude and potential of our young and talented by explaining vital business development processes with real-time work on the business ideas with which students come into the Venture Camp. Our participating lecturers, entrepreneurs and mentors are dedicated to helping the Venture Camp participants succeed. Success for some is the first failure, the chance to learn and do better in the next business project, and for others it’s a prosperous SME. Some of our programme graduates have launched booming SMEs, such as ICT Amber Housing in the housing sector; VIVIDLY, a virtual reality platform for architects and their clients; KnoqEyes, an application to assist the blind. These are just some examples, and even those who are still in the midst of their way to success have gained the necessary boost to strive for their goals. Our mission is to be there and give a helping hand throughout the programme and beyond. Is there anything that you feel the European Commission can do to assist you achieve your objectives for Latvia?